- The $9,915,615 renovation of the College of Dentistry is now complete. Creating a total of 23,000 square feet of state-of-the-art research space. - The new $37M Mile Square Health Center is now complete. The new space created a 5 story 121,000 GSF building. The upper three floors will be built out to further serve the medical needs of the campus with regard to research, training, and education. - The Neuropsychiatric Institute has recently undergone a renovation as well. The restoration of the 80 year-old building includes a new classroom that will be used as an educational hub for residency programs. - The College of Pharmacy at UI-Chicago will be undergoing a $1 million renovation on its 7,000 sq ft laboratory. Construction is slated this summer. 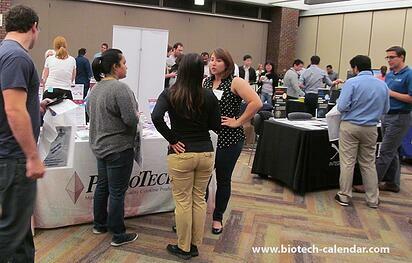 If exhibitors would like an opportunity to help outfit these new research labs with products and equipment, they are invited to join Biotechnology Calendar, Inc. at the upcoming Chicago BioResearch Product Faire™ event this fall.